The long history of choppers is a uniquely American story, akin to Rock 'n Roll in its cultural impact and global influence. The National Motorcycle Museum is assembling the first-ever exhibit comprehensively documenting the evolution of the American Custom Motorcycle; the cut-downs, bob-jobs, show bikes and choppers, from the late 1920s to the mid-'70s. 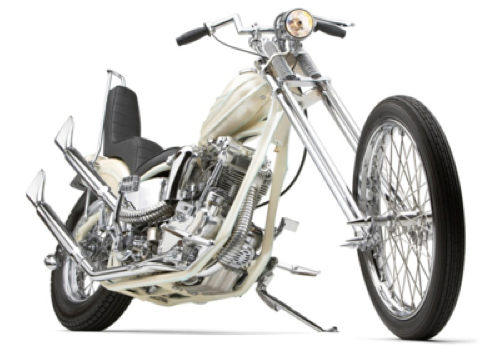 Opening in June 2015, the Allstate Motorcycle Chopper Story presented by J&P Cycles exhibit will include only period-built bikes, plus related artwork, memorabilia, film posters and photos, plus contemporary artwork commissioned for the show. 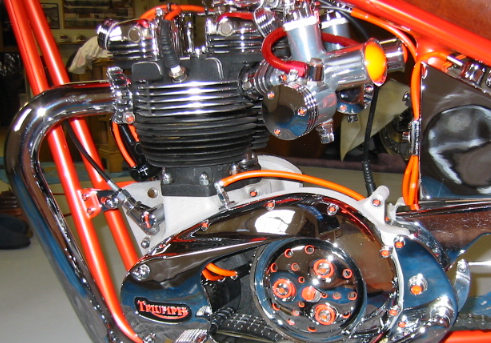 The National Motorcycle Museum has located over 20 great but typical period custom motorcycles for the show. "We put the word out to try and locate period builds, and the results have been good. Many original paint machines, some pretty outrageous, built in the 60's and 70's, were saved "as-is" and are still out there. They will be part of the show," says Paul d'Orleans, guest curator for the exhibit. the new Class C dirt-track racers. 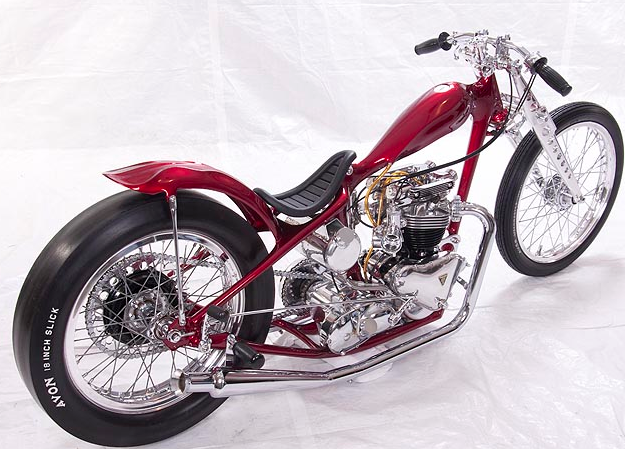 From the late 1940s, a few riders began decorating their Bob-Jobs, using chrome and wild paint, adding ape hangers, upswept exhausts, and small sissy bars, which by the 1950s became the established 'show bike' standards at combined car/motorcycle Hot Rod shows. 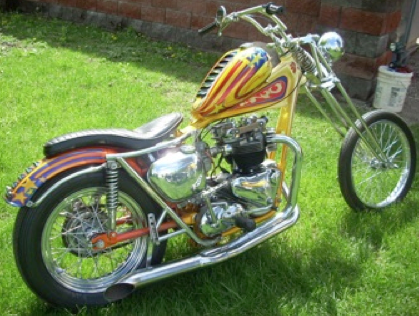 Drag racing motorcycles also influenced street customs using drag bars and raked forks. 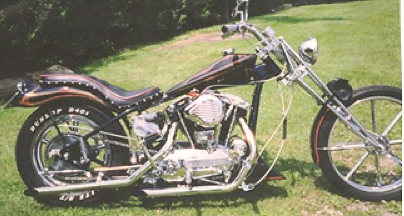 By the late '50s what we'd recognize as Choppers emerged, and in the early to mid-'60s raked steering heads, extended springer forks, wild pipes, sissy bars, sculpted tanks, and moulded frames were ridden by the hippest motorcyclists in America. As a great coincidence, the first comprehensive history of American customs was recently released - 'The Chopper: the Real Story.' Museum staff asked author/curator Paul d'Orleans to create the new exhibit based on his research for the book. Paul is a well-known writer ('The Ride', 'Café Racers', plus TheVintagent.com) and curator (most recently at the Sturgis 'Motorcycle as Art' exhibits with Michael Lichter), the Custom & Style editor for Cycle World, and contributes monthly to magazines in six languages. 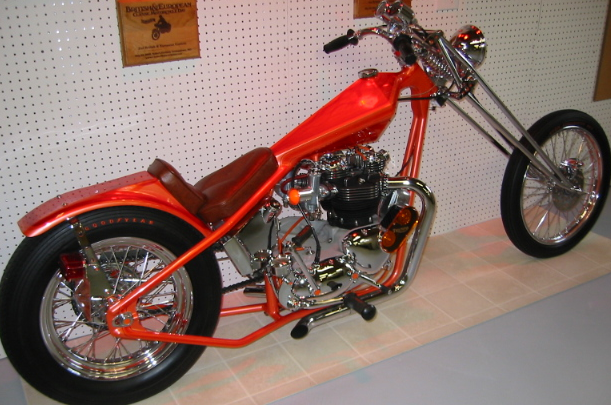 The National Motorcycle Museum has received many chopper and bobber submissions. Above are a few owner-supplied photos of bikes that are likely to be on loan for the Allstate Motorcycle Chopper Story presented by J&P Cycles exhibit. 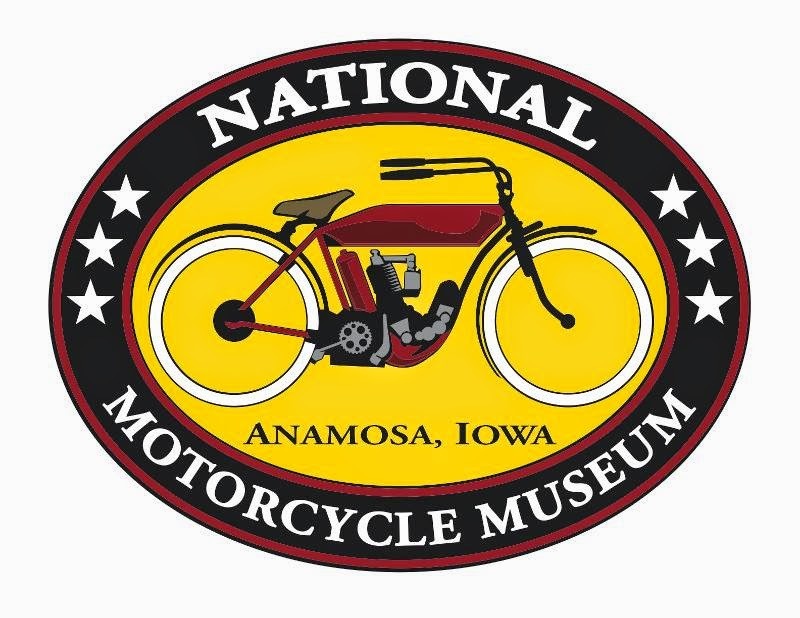 The National Motorcycle Museum is open seven days a week, year around. Museum members are admitted free. Becoming a member is quick and easy on the Museum website. Museum admission is only $10.00 except during special events. Children 12 and under are admitted free when accompanied by an adult.